It’s never too early to search for your venue. 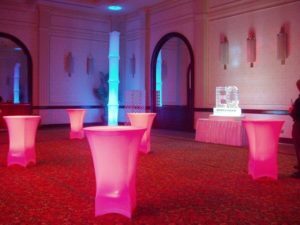 You can begin your search once you’ve decided on your budget, the size of the event, and space requirements. If possible, book your venue several months ahead of time so that you have plenty of time for planning everything else. If your attendees are mostly local, you may want to look for a venue that centrally located. At the same time, if you are counting on many people from out of town, you may want to consider a venue near a hotel or airport. Always remember to consider traffic, transportation, and parking options. You can also provide your guests with a mobile event app that has GPS maps, driving directions, and parking/shuttle information. While it’s not your first priority, you want to add convenience to your list of must-haves. If the venue has a parking lot, valet parking, or a nearby parking lot you are in luck. If there is no parking available, you may want to consider a shuttle, bus or taxi service with discount rates from somewhere near the venue. Contact the staff at Big Wave Events by calling 1.800.291.9837 (toll-free) when you need help with an event production in NYC or Connecticut.